RBS People’s Money. Calligraphy. from Nile HQ on Vimeo. 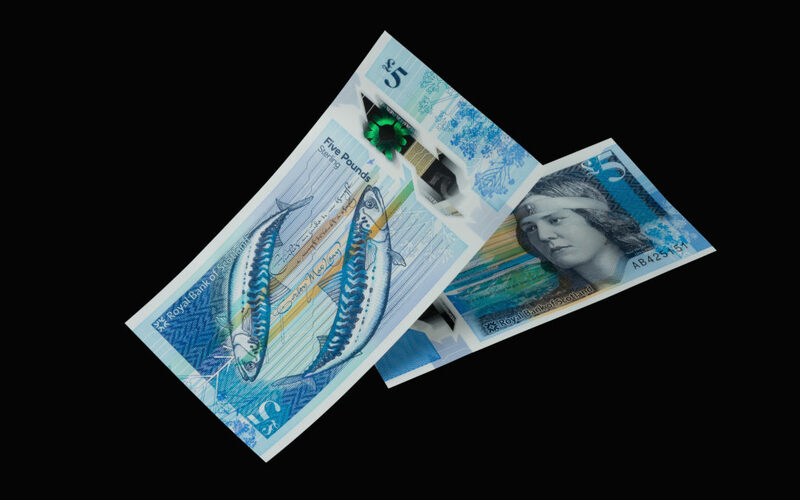 After 18 months the secret is out: it is my calligraphy in Scottish secretary hand on the reverse of the new RBS polymer fiver. And serendipity was at play because the face of the fiver is my mountaineering heroine and muse Nan Shepherd. The poetry on the note is by Sorley MacLean, in Gaelic, but if you hold the note under UV light, the English translation appears! It’s been great to be one of the 27 designers at work on this one note.